Hansika’s Bogan with Jayam Ravi will soon hit the screens. We got in touch with the bubbly actress to find out about her Diwali plans and the actress updates. “Usually, I will take a couple of days off during Diwali times as it is that special time of the year and this year is no exception either. I will be in Mumbai spending time with the 31 children I take care of. We have decided that we will not burst crackers as doing so is not an environment-friendly action. Also, we have pets and we don’t want to give them some terrifying times. On the other hand, we will all be wearing new clothes, decorating the house with colorful diyas and will also be involving ourselves in flower rangoli. We have organized special games for the children and all of them will be exchanging gifts with each other”. That’s a fantastic way to celebrate the Festival of Lights! 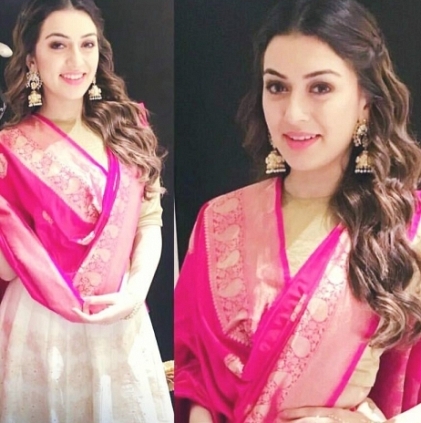 Advance Diwali wishes to Hansika and her family! Would Shankar' Ai Be Ready For Deepawali? People looking for online information on Deepawali, Hansika will find this news story useful.